Search results for "Mitchell J. Silver"
It's not just New York City's Anchor Parks that are receiving renewed attention: Earlier this week, the city announced that nine additional parks would be fully renovated as part of the ongoing Community Parks Initiative (CPI). The CPI is $285 million project that was launched in 2014 and aims to improve "historically under-funded parks in densely populated and growing neighborhoods with higher-than-average concentrations of poverty," according to a press release. 60 parks will be rebuilt and 100 more sites will receive "targeted improvements and enhanced programming," such as "new pavements for basketball courts, new plantings, and aesthetic improvements." The CPI—which also features an annual $2.5 million budget for ongoing park maintenance—is also part of the Mayor de Blasio's oneNYC plan, which broadly aims to encourage economic growth, ecological sustainability, and resiliency, all while reducing inequality. “For health, for relaxation, and for happiness, great neighborhoods need the great neighborhood spaces the Community Parks Initiative creates,” said Parks Commissioner Mitchell J. Silver, in a press release. 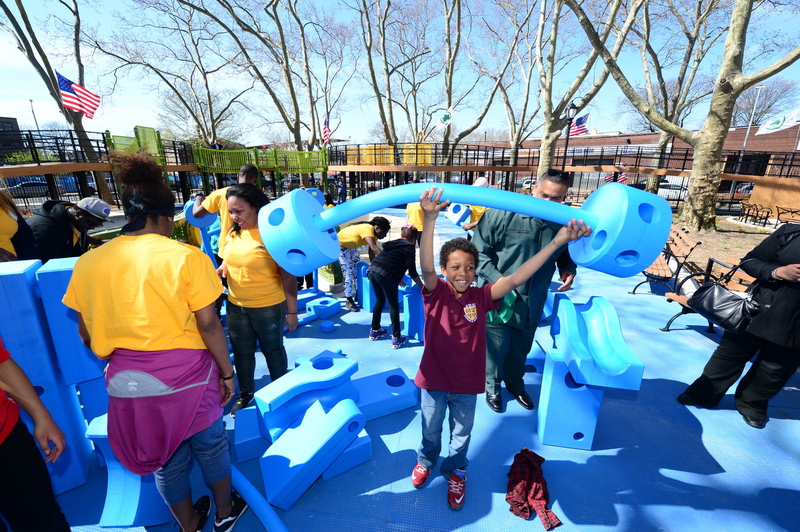 “This is why CPI is not only an investment in parks—it’s an investment in the well-being of millions of New Yorkers for generations to come.” The nine parks to be renovated are: Bronx · Garrison Playground · Playground 174 · Playground 134 · Plimpton Playground Brooklyn · La Guardia Playground · Weeksville Playground Manhattan · Abraham Lincoln Playground · Audubon Playground Queens · Almeda Playground According to the press release, 35 of the inaugural CPI parks have already broken ground on construction. 12 other parks are in the design phase and more sites will be added to the initiative next year. Today, The New York City Department of Parks and Recreation (NYC Parks) and Japanese clothing company UNIQLO announced that UNIQLO has committed $200,000 in a grant to be issued over the next two years. 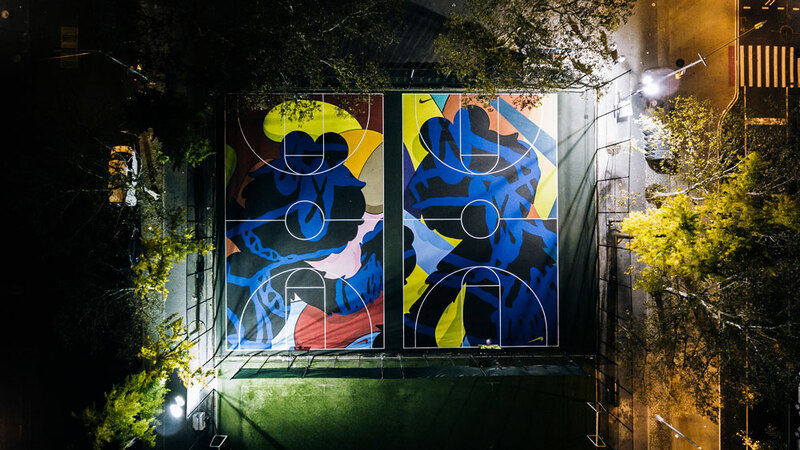 The “Art in the Parks: UNIQLO Park Expressions” grant will install original artworks by New York City­­–based artists in 10 parks (two parks per each of the New York City's five boroughs). The grant is part of NYC Parks’ broader initiative to bring frequent public art exhibits to parks that have not had cultural programming in the past. 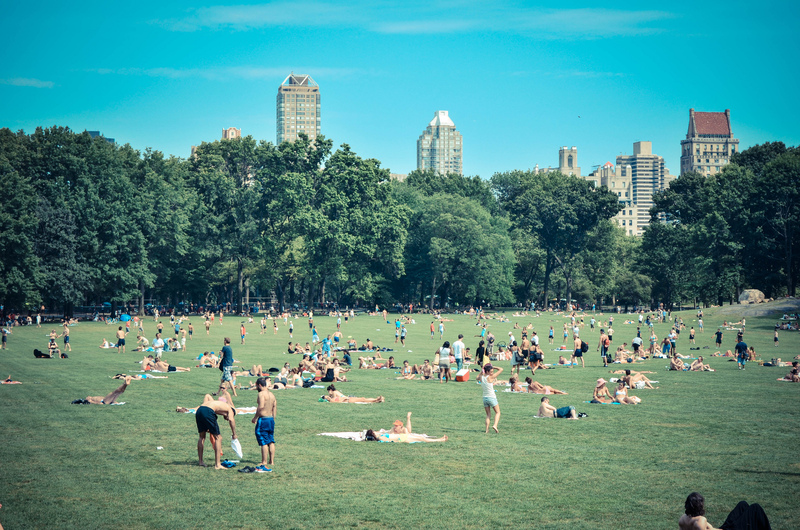 The participating parks are Joyce Kilmer Park and Virginia Park in the Bronx; Fort Greene Park and Herbert Von King Park in Brooklyn; Thomas Jefferson Park and Seward Park in Manhattan; Flushing Meadows Corona Park and Rufus King Park in Queens; and Tappen Park and Faber Park in Staten island. Over the next two years, 20 emerging artists who “submit the most compelling public art proposals” will each receive $10,000 to complete their projects for their assigned park. The first round of artists will be announced in January 2017 and the first artworks will be ready for public display in spring 2017. The announcement was held at 11:30am this morning at Fort Greene Park Plaza with NYC Parks commissioner Mitchell J. Silver, UNIQLO USA CEO Hiroshi Taki, UNIQLO global director of corporate social responsibility Jean Shein, city councilmember Laurie Cumbo, and artist Alexandre Arrechea, as well as local artists and community members. This project is one of several in which UNIQLO has engaged to better local communities. In addition to its clothing recycling program, an ongoing initiative that collects gently used clothing at its stores and delivers them to those in need, the company has donated millions to people in need, such as refugees, disaster victims, and disadvantaged youth. 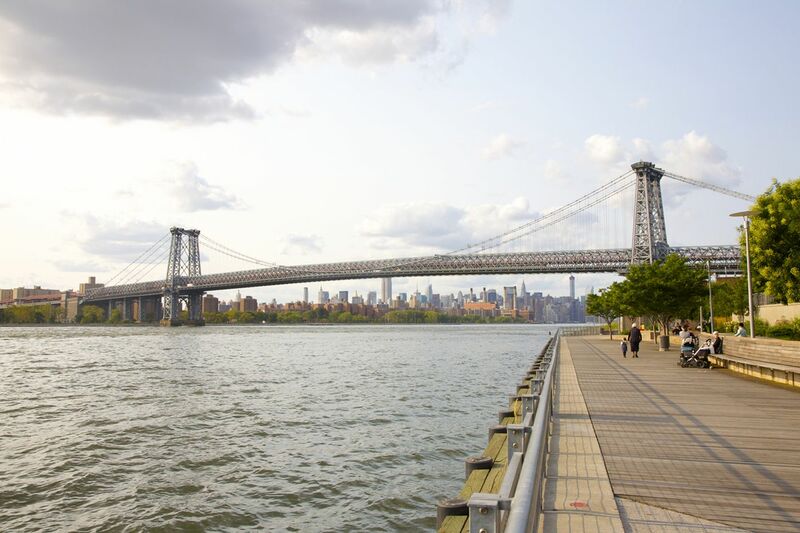 The New York City Department of Parks and Recreation (NYCDPR), its Community Parks Initiative (CPI), and the Randall’s Island Park Alliance (RIPA), has inaugurated the East Harlem Esplanade Project. 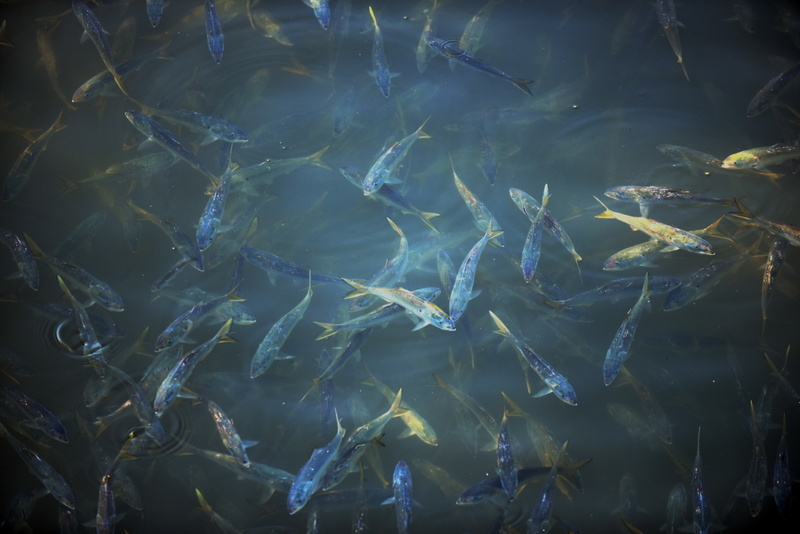 The scheme aims to completely rebuild the 107th Street Pier while expanding its programming in the process. This all includes a strategy pertaining to reconstruction advocacy, stewardship, and programming best practices for an improved Esplanade along East Harlem, covering East 96th to East 125th streets. RIPA will provide support in the form of expertise for the management of long-term development, maintenance, programming and resiliency measures along the East Harlem waterfront. The CPI is currently committed to improving 67 community parks deemed to be "under-funded" and in "densely populated and growing neighborhoods with higher-than-average concentrations of poverty." At the moment, RIPA is currently speaking to public agencies, advocacy groups and local stakeholders in order to assemble concerns related to the project while also referencing existing studies to develop the plan. "East Harlem is a thriving, growing community that deserves world class waterfront access," said Council Speaker Melissa Mark-Viverito. "For far too long, our esplanade has been neglected and has fallen into disrepair, which is why the Council has made a priority of allocating millions of dollars in capital funds to address these needs, including the reopening of the 107th Street Pier. Working with community residents and local stakeholders, the East Harlem Esplanade Project will help create a comprehensive plan to fully revitalize this important public space for generations to come." State Senator José M. Serrano said, "Through the collaborative efforts of Manhattan Borough President Gale Brewer, New York City Council Speaker Melissa Mark-Viverito, Assemblyman Robert Rodriguez, the Parks Department and now the Randall's Island Park Alliance we have a dynamic team that will transform the East Harlem portion of the Esplanade into a beautiful piece of parkland. 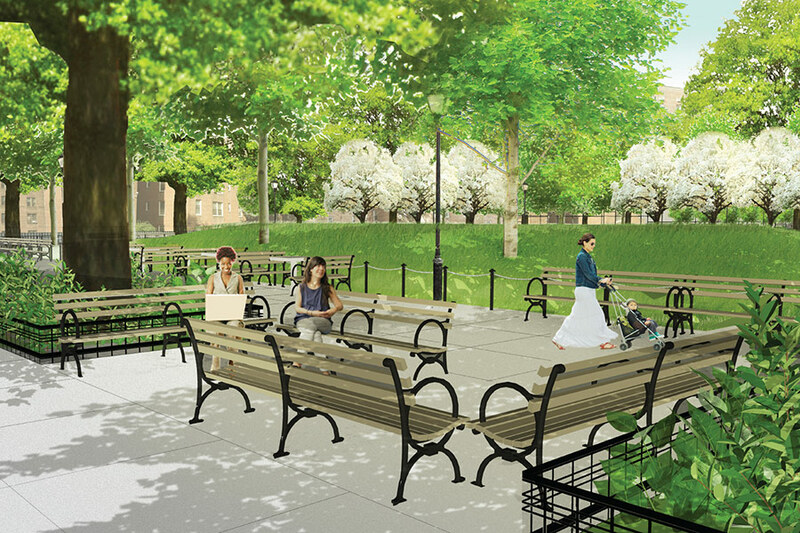 Together we will be able to strengthen the East Harlem Esplanade and give the residents of El Barrio a much needed green space that will create economic growth for the surrounding neighborhood." A future redesign of Travers Park would remove a too-tall fence to soften the parkks edge and enable better access from the street. 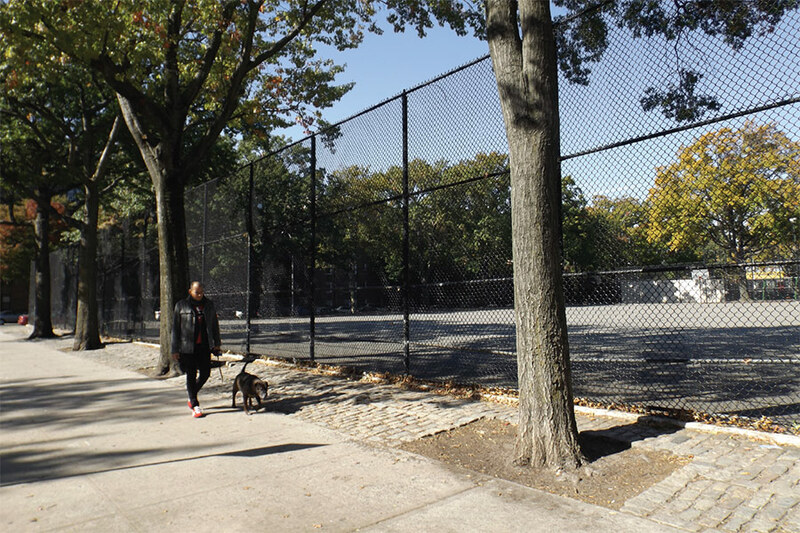 Travers Park, in Jackson Heights, Queens, is a standard outer-borough park: Asphalt ball courts, covering less than a square block, are surrounded by black, chain-link fencing that reaches more than halfway up the treeline. Sycamores on the cobblestone lawn divide the park from the sidewalk. 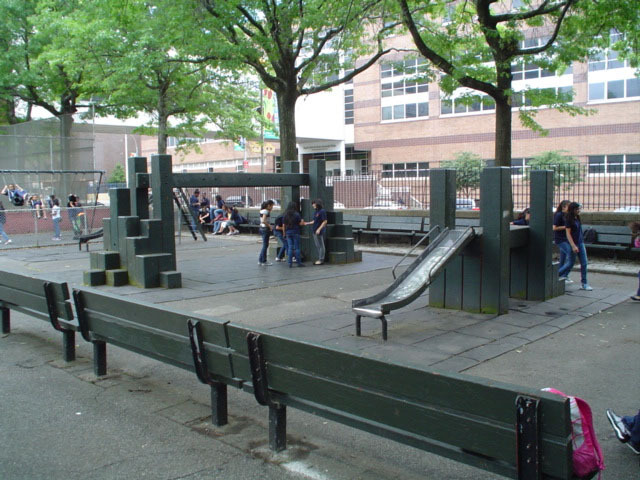 An adjacent playground sits on a concrete platform, encircled by a low metal fence, waist-high above the sidewalk. The park’s two entrances at 77th and 78th Streets face each other at mid-block. 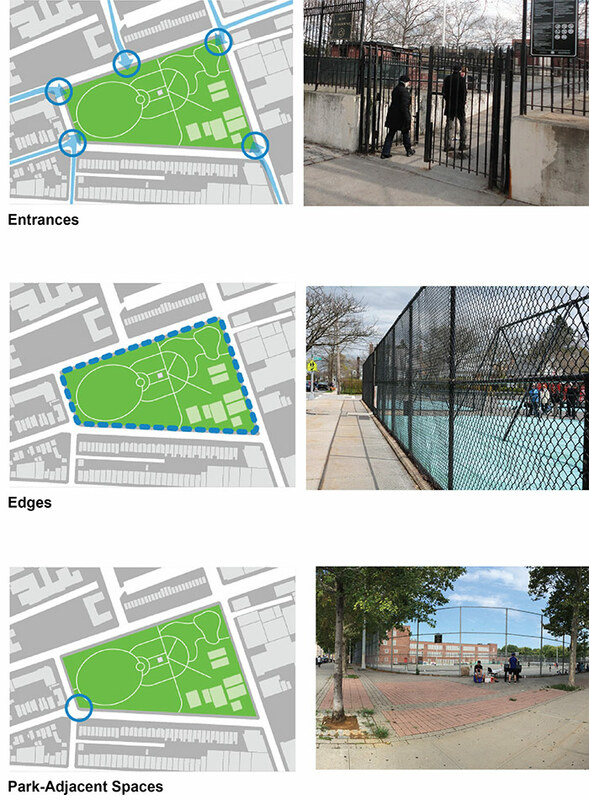 A new citizen-driven planning initiative will tear down those fences, making select parks more appealing to the eye and more accessible from the street. With a combined $50 million in funding from OneNYC grants, Parks Without Borders invites New Yorkers to nominate parks that need stronger relationship to surrounding streets, via fewer fences, new entrances, or revived “park-adjacent spaces,” those underused, vestigial public spaces that sit between parks and the street or sidewalk. Existing conditions at Travers Park. Parks figure heavily into the goals of OneNYC, the city’s guiding planning and policy document that evolved out of former Mayor Bloomberg’s PlaNYC. 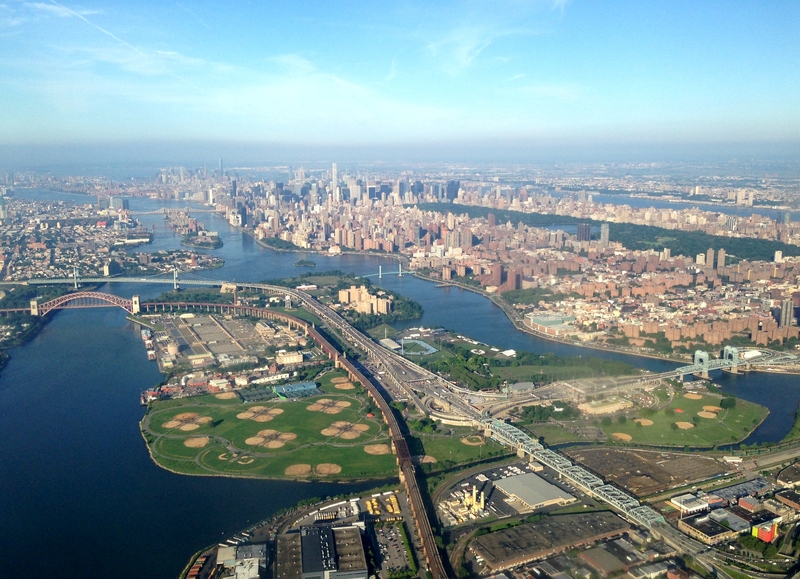 New York has almost 30,000 acres (46.9 square miles) of parkland. 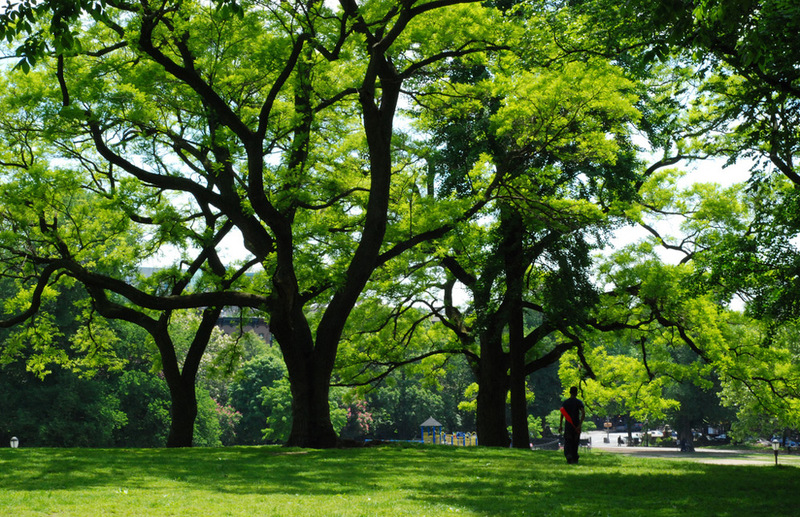 A central of goal of PlanNYC was to have every New Yorker live within a ten-minute walk of a park. Building on and broadening that goal, OneNYC includes a mandate to create “thriving neighborhoods that support healthy active lifestyles and [neighborhoods] that have easy access to cultural activities,” said NYC Parks Commissioner Mitchell J. Silver. Tall fences that surround many parks, Silver said, date from the 1930s through the 1970s. With the city skirting bankruptcy in the 1970s, capital funding for parks was limited and maintenance budgets were slashed. Through the 1980s, securing park perimeters to prevent crime and deter vandals prevailed over aesthetic concerns. Silver emphasizes that Parks Without Borders is a “flexible strategy that can be applied to many situations.” Parks that are particularly prime for improvement, he noted, are surrounded by fences that block views into the park, especially barriers above eye level. Parks with difficult or narrow entrances, or that lack entrances at key locations, are strong candidates too. Additional considerations include a park’s proximity to a busy commercial corridor or public institutions and the number of street trees. To nominate a park for Parks Without Borders, residents can search for “Parks Without Borders” on nycgovparks.org to access an interactive map. Click on a park and a checklist of potential improvements appears, such as “street furnishings,” “paving,” “fences,” and “activities,” as well as an open-ended comments field. 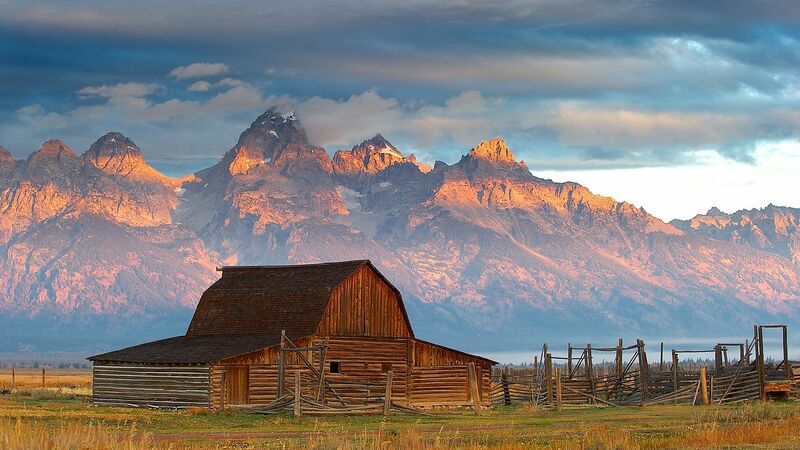 The submissions period began mid-November 2015, and, as of late January 2016, the Parks Department has received around 3,000 entries. Parks enthusiasts, plan ahead: the department will select eight initial parks for a makeover when the call for submissions ends February 2016.